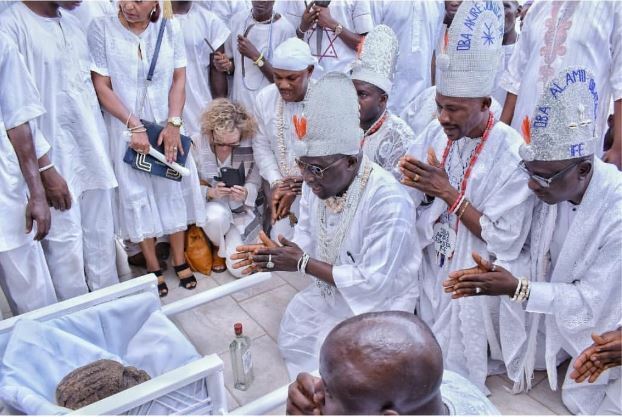 No matter how fast civilization is growing and how well it is removing the cultures known to Africa, some festivals cannot be removed or left to die, no matter how barbaric the modern world think it is. 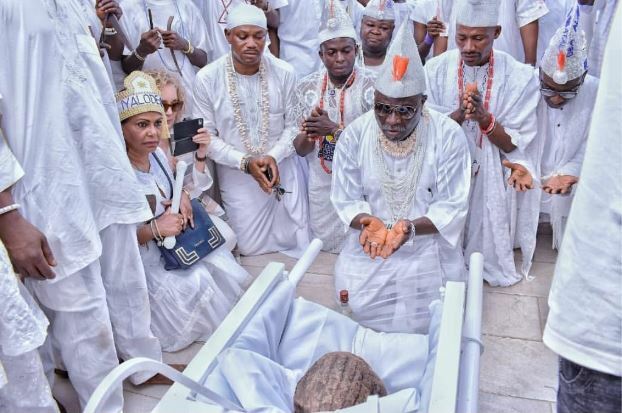 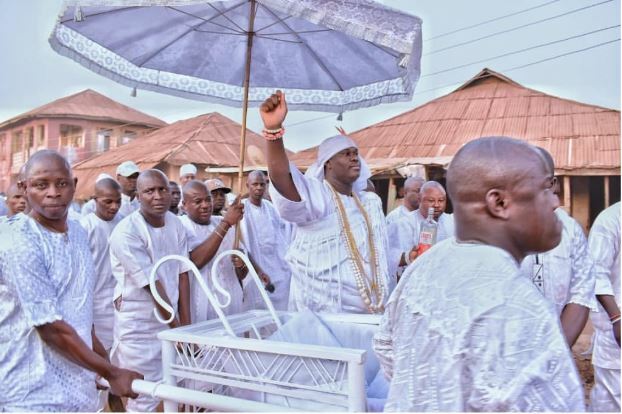 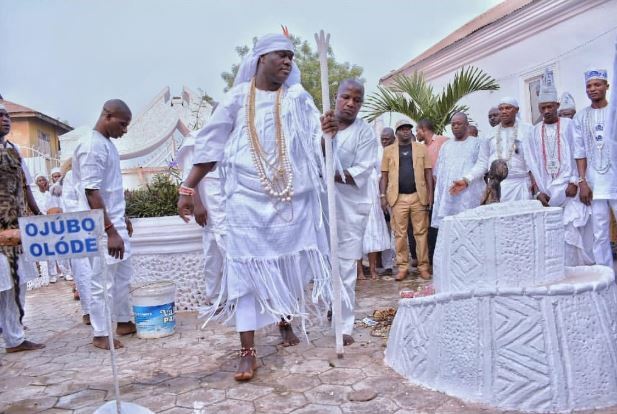 The Oba of Ife, Oba Adeyeye Ogunwusi, the Ooni of Ife and Spiritual Head of the Yoruba race worldwide, has taken part in the Oshoosi Festival 2019 in Ife. 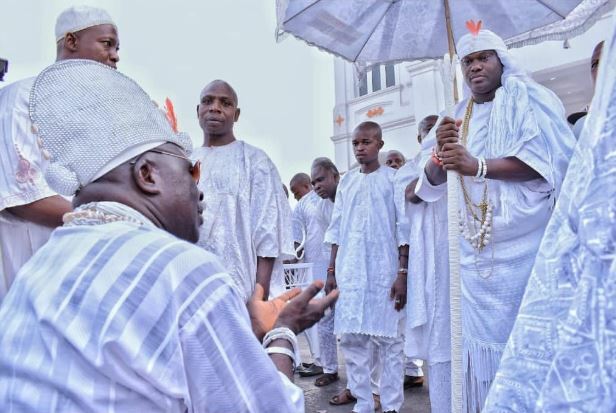 The highly respected monarch, participated in the Oshoosi Festival yesterday, January 18th and photos have emerged from the event. 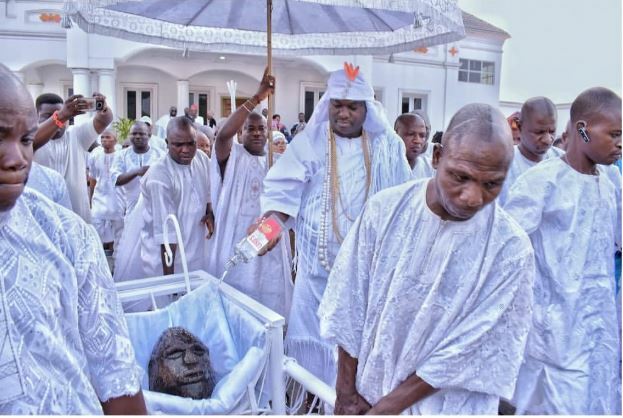 The Oshoosi is a deity believed by many to be the father of philanthropy and religious congregation for purity and sanity in Yoruba land. 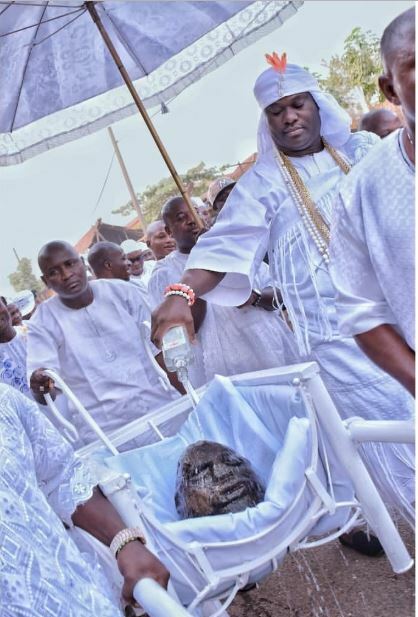 The festival is always held to honor Oshoosi and pray to him.